Hollywood, the game design studios and many other creative sectors suffer from a diversity crisis. Women and minority artists are significantly underrepresented and undercompensated. Those who produce content often don’t look very much like the audiences who consume it. The solution is most likely to emerge from outside the traditional system, from cities such as Atlanta where new voices are mentored and empowered. Scholars are organizing research teams to better understand how old monopoly media production systems can be opened to a new and diverse generation. The underrepresentation of woman and minority artists in fields such as film and game design is not being corrected. Many TV series that cycle through guest directors for each episode never hire women or minority directors. A 2015 study done by the Directors Guild of America showed that when studios make first directing hires, at the key moment when new talent most needs an industry “break,” 82% of directors hired over a six-year period were men, and 86% of all those hired were Caucasian. But it’s not just episodic TV. Women and people of color are underrepresented as museum directors, among Emmy and Academy Award winners, as TV and radio talent and as field reporters in print newsrooms and in cinematic portrayals. These problems are mirrored in the technology sector, where issues that include blatant sexism have recently captured national headline attention relating to problems in social media and game design. Renowned artist and producer Tyler Perry came to Atlanta because he was unsure of the prospects he would face in starting a new media venture in Hollywood or New York, and the Georgia media-making scene is much more reflective of the face of America than the entertainment often produced in other leading content creation centers. The key is to encourage new voices, provide avenues of career access to students with talent and passion but lacking economic backing, and to build networks able to nurture diverse creative talent. Because Georgia State attracts a highly diverse student population, it’s well positioned to address this challenge and to document best practices so others interested in diversifying entertainment can also succeed. Please add an additional information about your request. Several faculty at Georgia State are focused on contemporary entertainment models that are based on diverse and new voices. Lekeyta Bonnette, assistant professor of political science, is the author of Pulse of the People: Rap Music and Black Political Attitudes and teaches classes on Hip-Hop and politics. And Maurice Hobson, assistant professor in African American studies, is the author of The Legend of the Black Mecca: Politics and Class in the Making of Modern Atlanta. The Political Science Department hosted a June 2017 workshop focused on the role Hip-Hop music plays in advancing social change as a political art form. 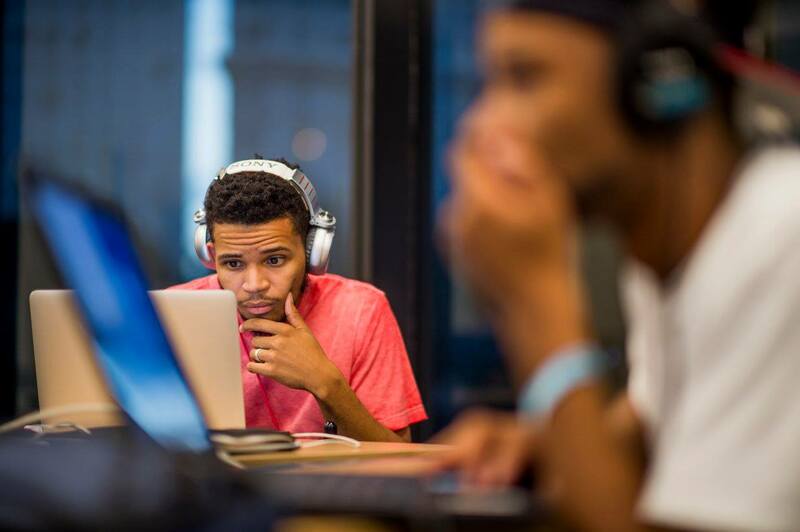 In October 2017, CMII partnered with the A3C music festival to produce the Creator Complex, an all-day training program that brought more than 500 artists to campus to experience training in sound design, music video making and entertainment branding. The CMII partnership with Liquid Blackness is a research partnership that explores the intersection of race and visual culture. In 2017 CMII co-hosted a campus visit by Khalil Joseph, the Emmy-, BET- and Grammy-nominated videographer and music director. An initiative led by the College of Education and Human Development’s Crim Center partners with CMII and the Atlanta Film Society to develop a model for connecting media arts education with at-risk youth, and will begin training programs in 2018. CMII invites academic researchers and industry collaborations interested in research connected to media industry diversity and those wishing to connect with best educational practices to connect with the Institute as research-based programs expand on these topics.